In a hurry to fill a vacancy? Successfully managing a rental property may not be as elusive as programming your newest gadgets, but in landlording — like electronics — trial and error is not the best way to learn. 1. Safety check. Before committing the property to the rental market, pay attention to any potential safety issues, like emergency exits and smoke and carbon monoxide detectors. 2. Set the right rent. Assuming the property is in good condition, the rent should be just below the top of the market. Too low, and you lose your profit opportunity. Too high, and the property sits vacant longer than necessary and attracts bad tenants. 3. Review your local tenancy laws to determine what fees or deposits you are allowed to charge. 4. Utilize your rental ad to screen tenants. By including all the pertinent information, unqualified tenants can screen themselves. Discourage bad tenants from applying by warning that you will require a tenant background check. Describe the property, not the type of tenant who might like it. 5. Prequalify your applicants before providing a property tour. Is the person available to rent now? Do they have sufficient income? 6. Demand a completed rental application from each adult applicant under serious consideration. Warn applicants in advance that they will sign a declaration that the information is true, and that you will verify this information. Providing false information may constitute fraud. 7. Run a tenant background check: Read the application to determine if the person qualifies. Verify the information by calling references. Speak with previous landlords. Then, run a tenant credit report to rule out a history of late payments or defaults. Do this regardless of how confident you may be in your applicant choice. 8. Before asking a tenant to sign the lease, go over specific rules in person. 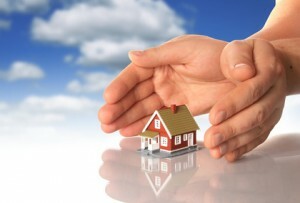 A tenant who understands the lease provisions is more likely to abide by them. 9. Complete a move-in condition inspection report and ask the tenant to sign it. Allow the tenant to update the report over the next week to ten days if they notice additional issues as they settle in. 10. Secure the tenant file to avoid unauthorized disclosure of the tenant’s sensitive information. By following these steps, you can increase the likelihood of finding a good tenant and at the same time reduce common landlord liabilities as you get tenancy underway. Then, you can spend the next few months catching up on all the bells the whistles.